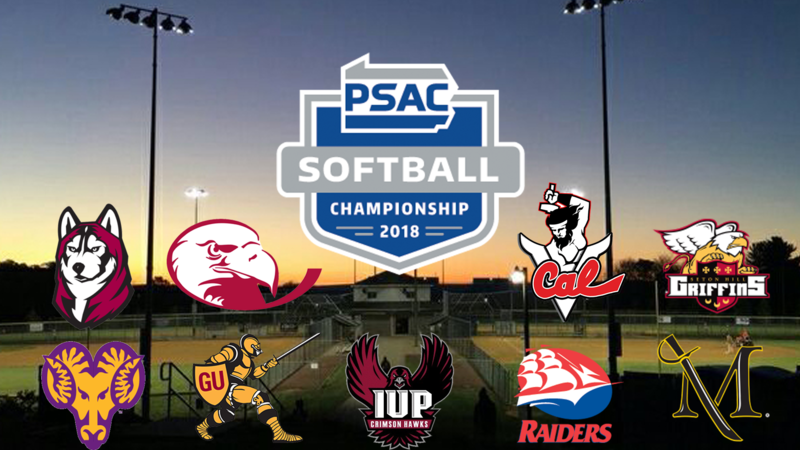 The 2018 Pennsylvania State Athletic Conference Softball Championship field is set following the conclusion of the regular season Monday evening. The tournament will take place in Quakertown, Pa. at Veterans Parks and will start at 12 p.m. Wednesday, May 2 and will run through Saturday, May 5 and will consist of nine teams. The tournament is in a double-elimination format with the top three teams from the Central, East and West division. In the East, West Chester found itself in a familiar territory as the No. 1 seed while Shippensburg claimed the No. 2 and Millersville earned the No. 3. In the Central, Lock Haven cruised to a No. 1 seed after producing a perfect 20-0 league record during the regular season. It marks the first time since California in 2014 that the feat has been accomplished. Bloomsburg used a sweep on Sunday to grab the No. 2 seed while IUP claimed the No. 3 seed. In the West, Gannon swiped the No. 1 seed while Seton Hill earned No. 2. Cal earned the No. 3 seed. WCU claimed the title in 2017 for the first time in school history. BU leads all teams with 16 titles while Cal is second with eight and LHU is third with five. ​RASA Families get a discount of $5 per car (compared to $15 per person). Please wear RASA spirit wear when attending! !